Peter Estlin is Alderman for the Ward of Coleman Street in the City of London. 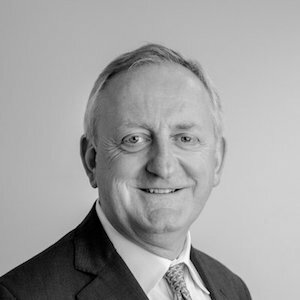 He was elected an Alderman in 2013 following a 30 year career in finance, initially as a partner in Coopers & Lybrand, before moving into banking to hold a number of senior finance roles in Hong Kong, New York and London. Today, Peter is a Senior Advisor to Barclays plc in addition to holding a number of non-executive roles. Peter was fortunate to gain a place at King Edward’s Witley, a foundation school, which dramatically changed his life, providing opportunities that woud have otherwise been unavailable. As a way of reciprocating, Peter has been a governor of Bridewell Royal Hospital, the overarching charitable foundation, for 25 years and was its chairman for the past 10 years. During that time, Peter is proud that several hundred young people have benefitted from improved life opportunities – as he did himself. Given the importance of education as a foundation for life, many of Peter’s interests lie in supporting educational charities. These include several supported by Livery Companies as well as programmes such as Barclays LifeSkills and Onside Youth Zones, helping young people to gain the skills necessary for work in the future. Peter served as Sheriff of the City of London for the year 2016/17 and, subject to formal election later this year, will be the 691st Lord Mayor of London.